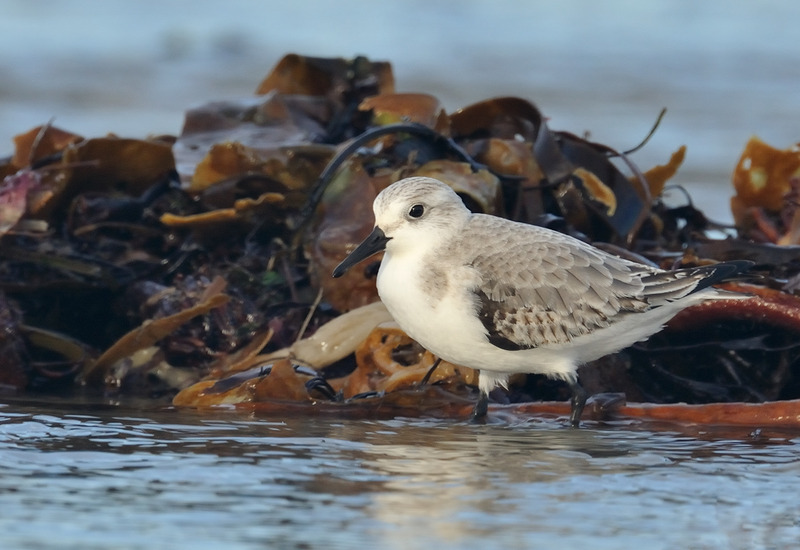 The final year tick of 2010 came today at Tolcarne beach, between Newlyn and Penzance. 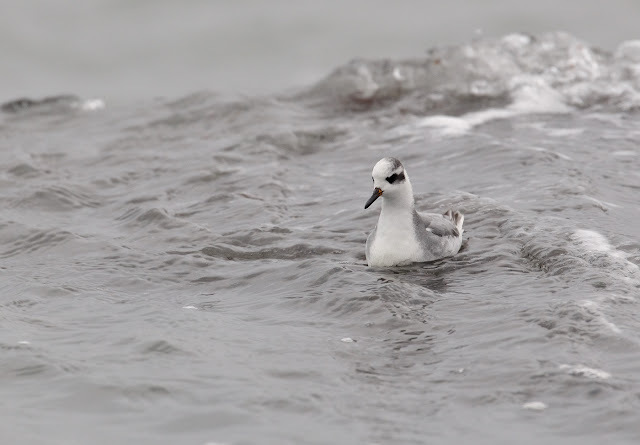 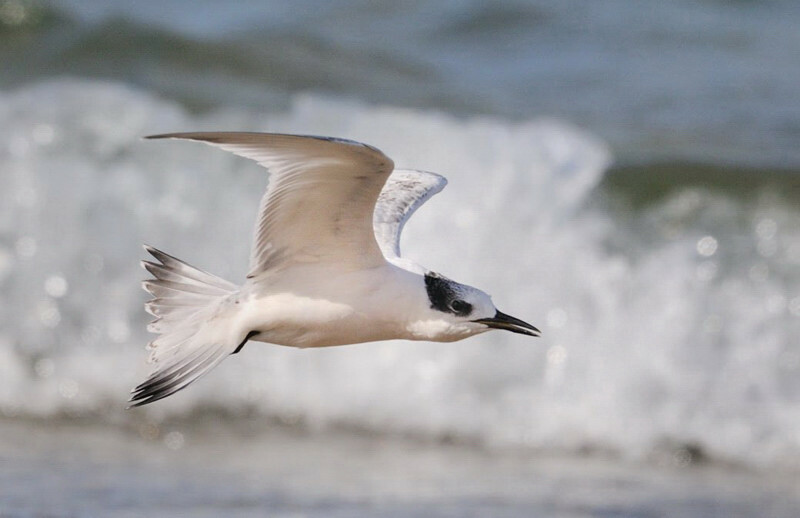 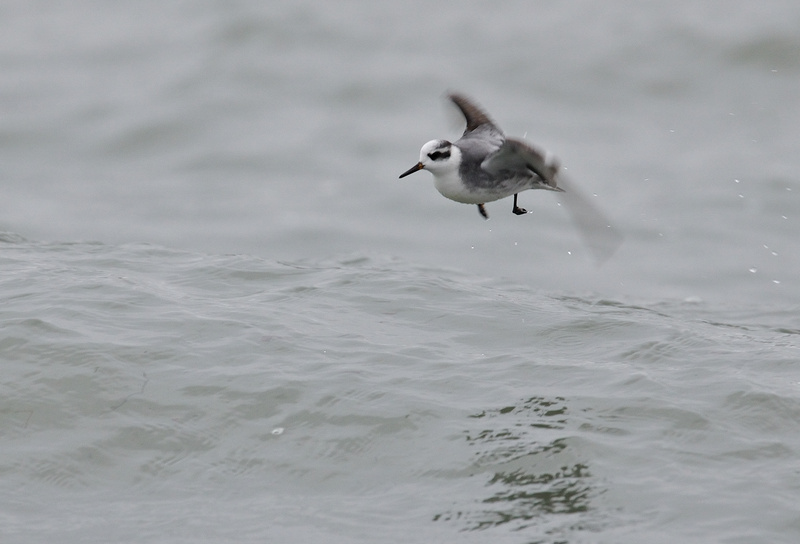 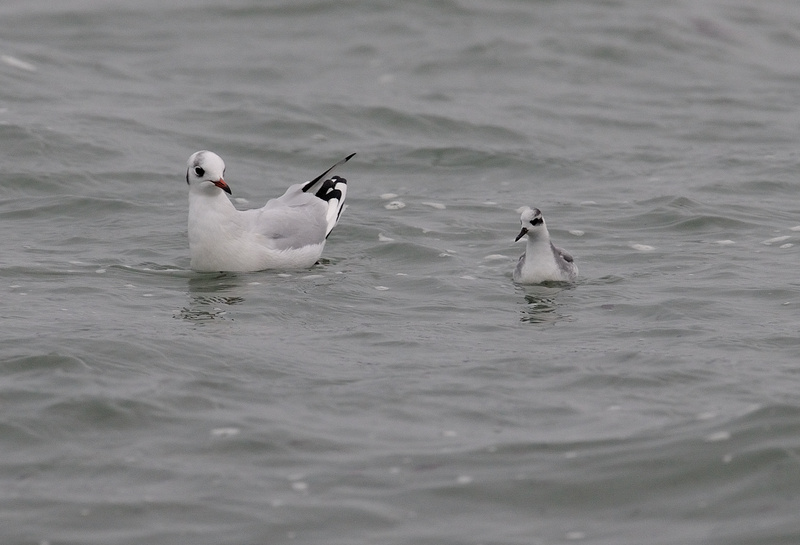 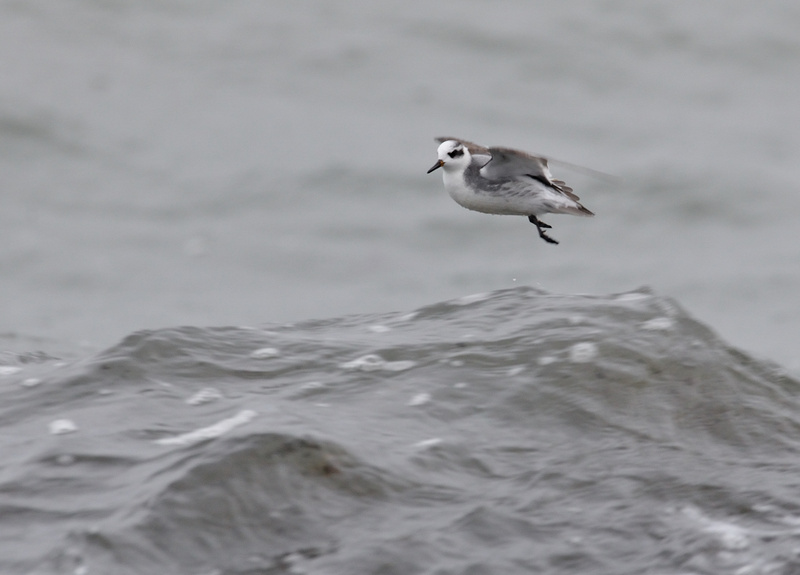 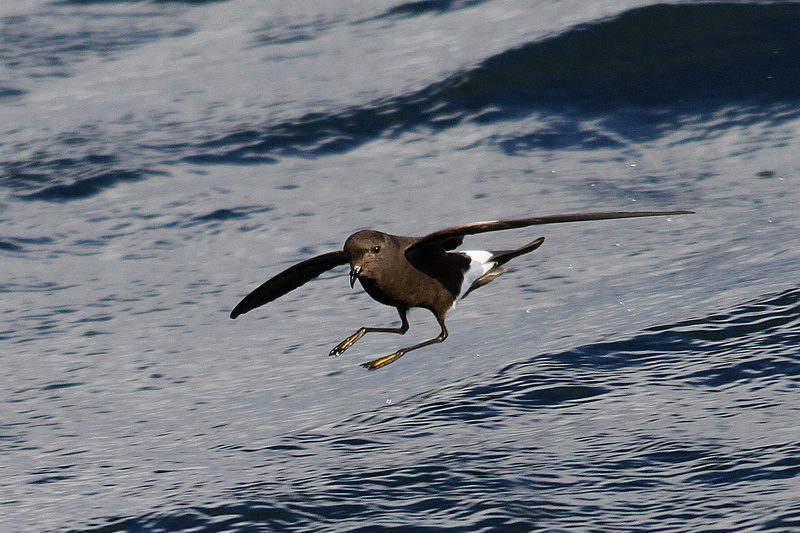 In 2009 we were tripping over Grey Phalaropes on seawatches but this year has been a lean year for the species. Yesterday my mate filmed four together here but I guess one is good enough ! 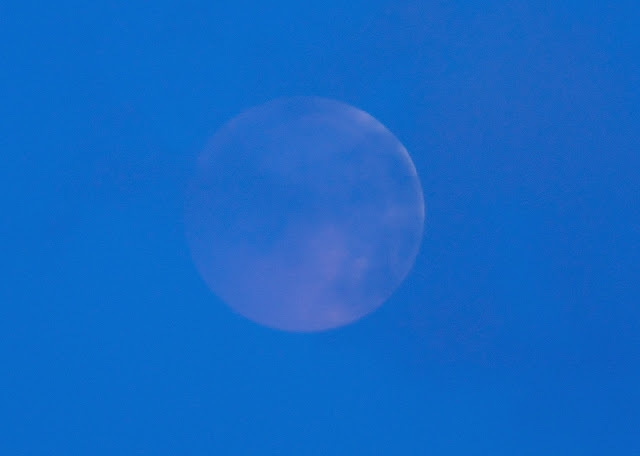 The light was very dull and grey overcast, thus the images below look the same. 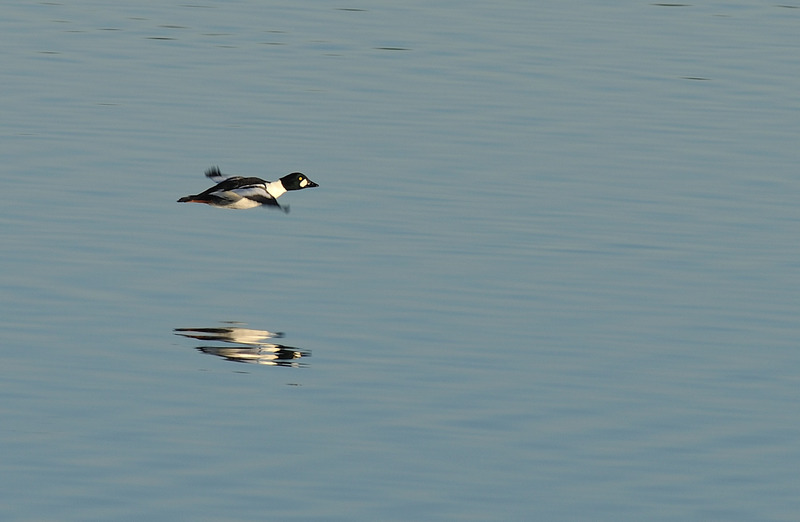 I was pleased with the flight shots given the low shutter speed. 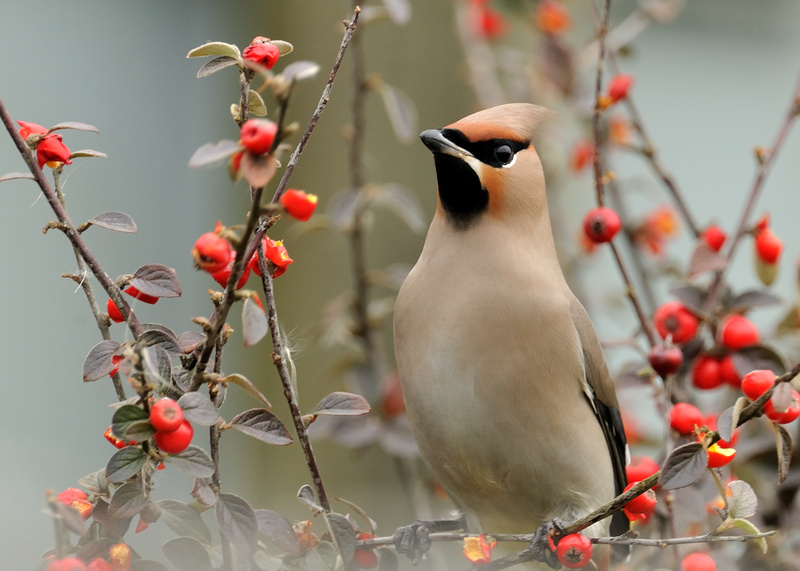 With any luck, the light might be better tomorrow and with even more luck, this bird might stay for the New Year. Finally, Happy New Year to all the readers of my blog. 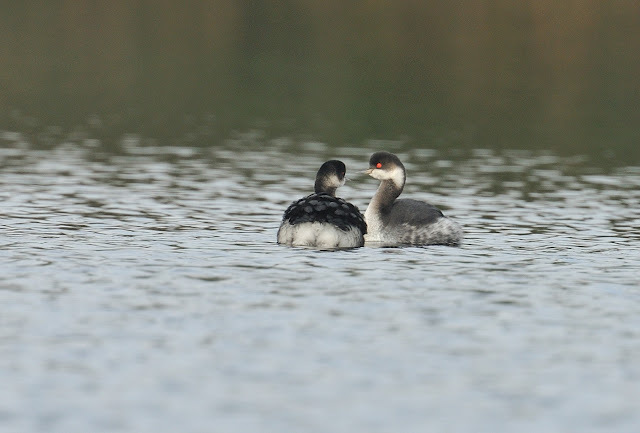 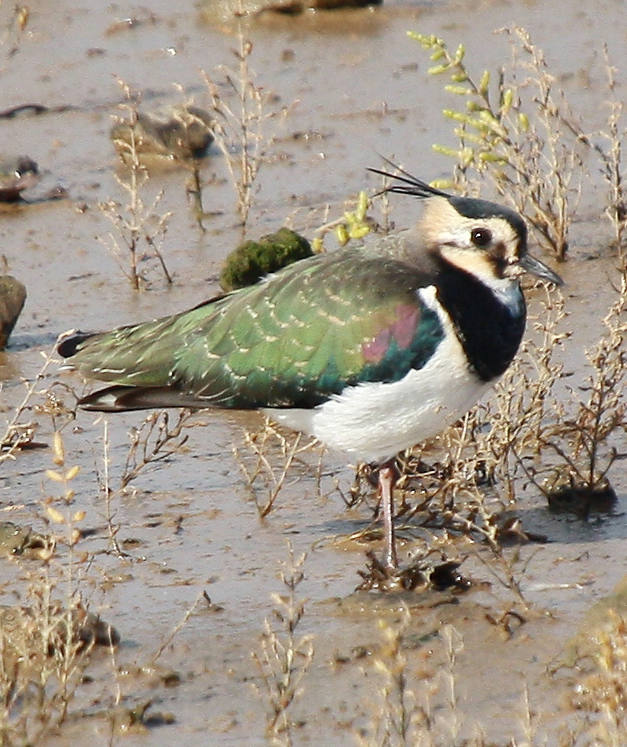 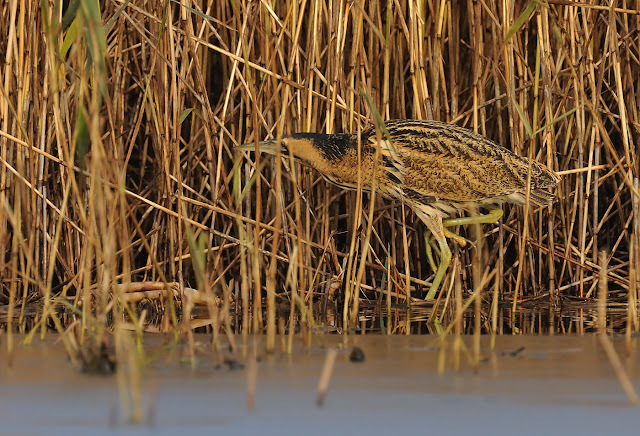 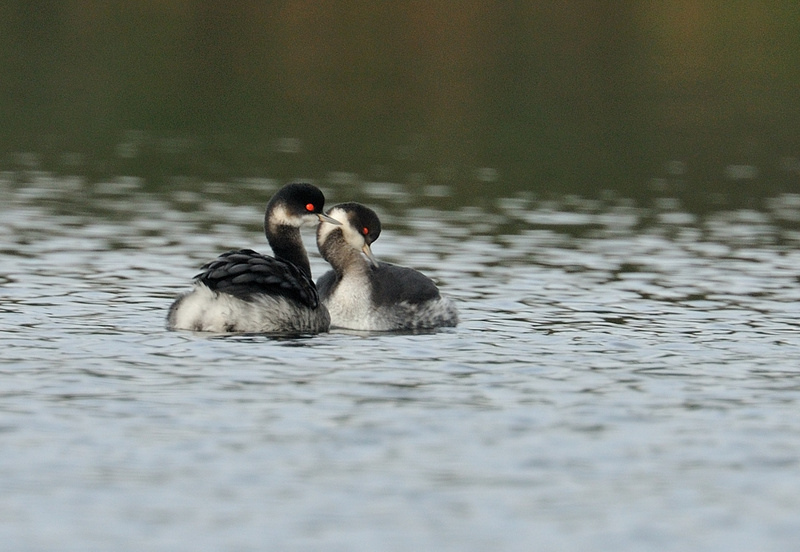 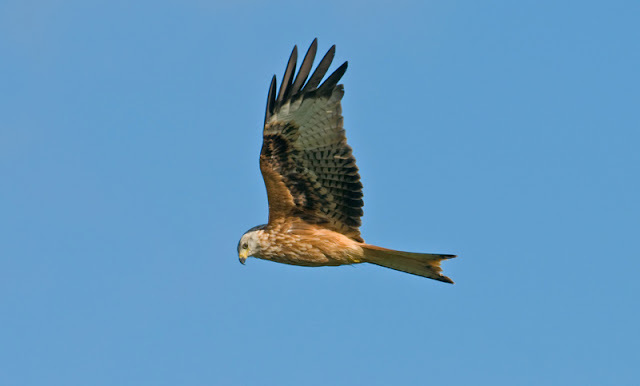 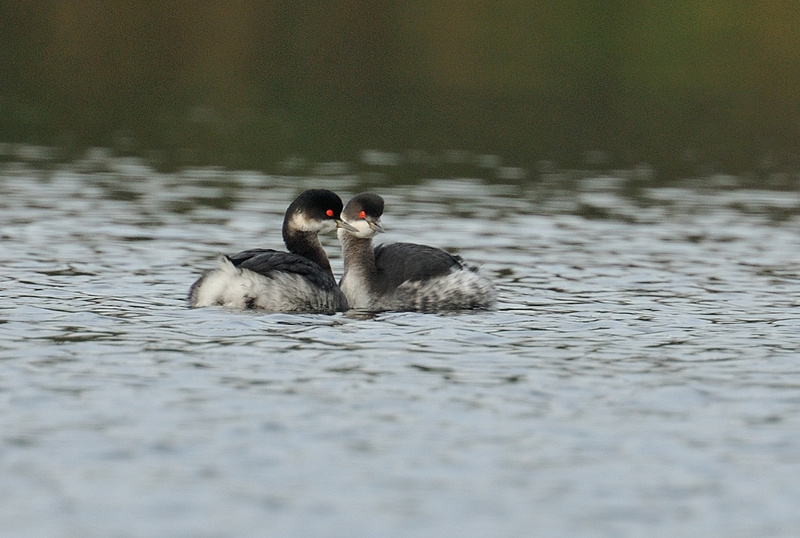 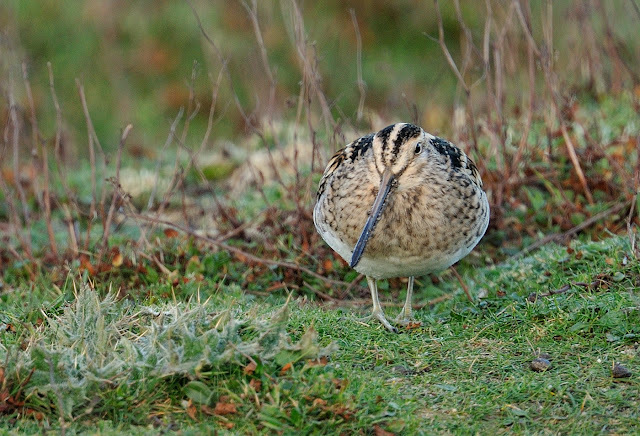 Let's hope 2011 brings as many fantastic birds as 2010 did. 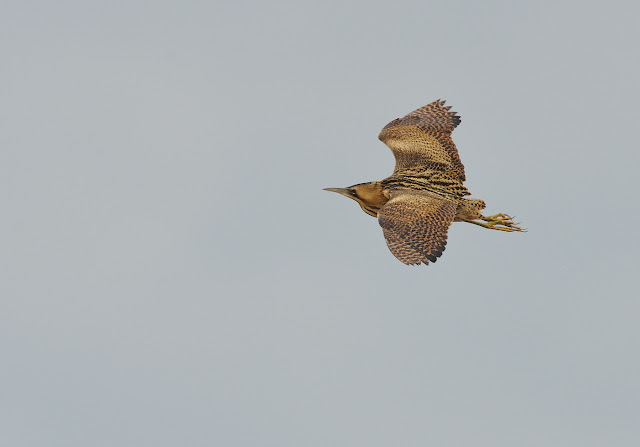 I went to Marazion expecting to see two, maybe three Bitterns today, but was surprised to find at least six, and all within the space of ten minutes. For some reason today they seemed to be showy and very flighty. 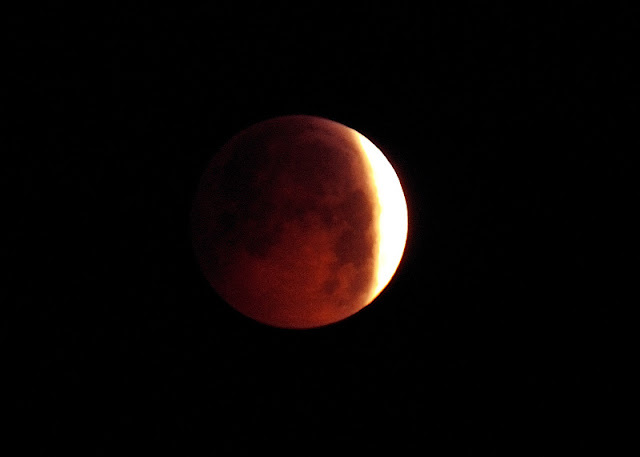 In two hours we had at least twenty views. 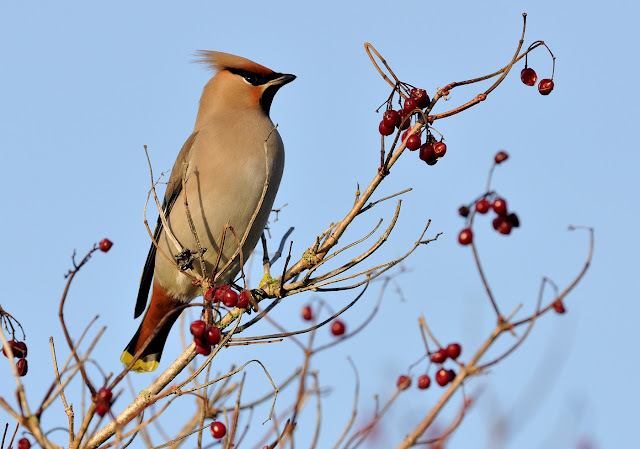 Given that the cold weather is due to continue, one can assume there could be even more. 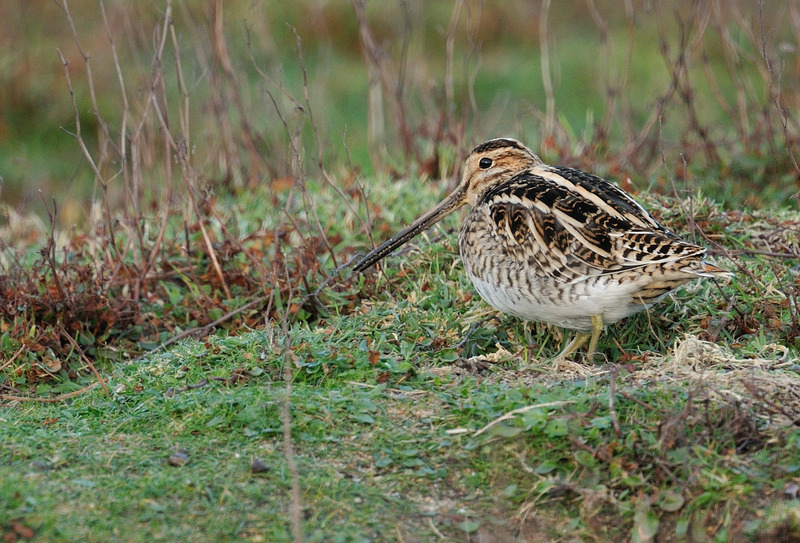 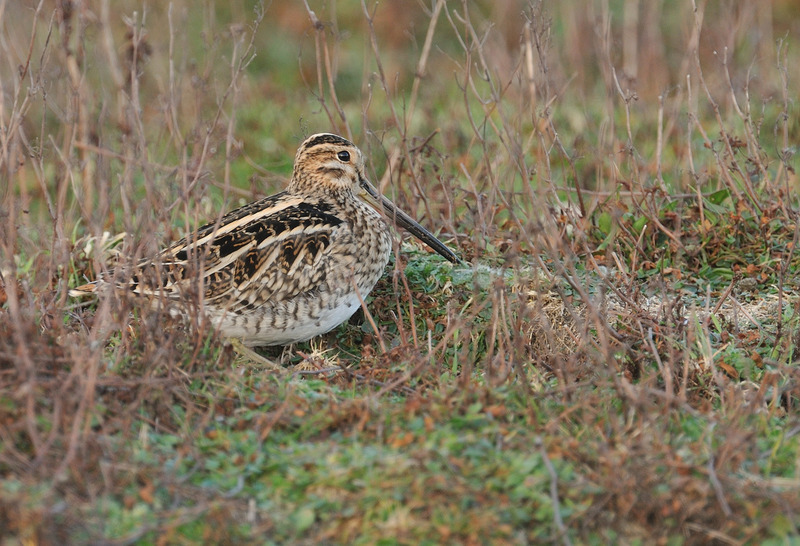 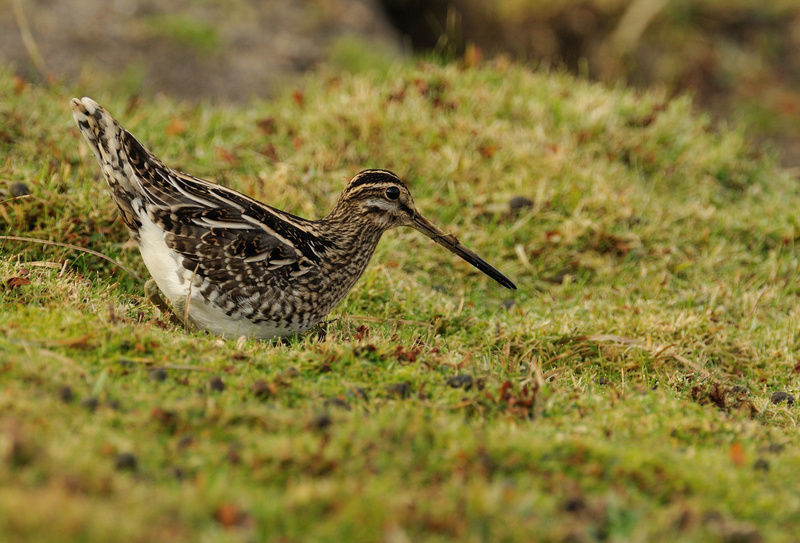 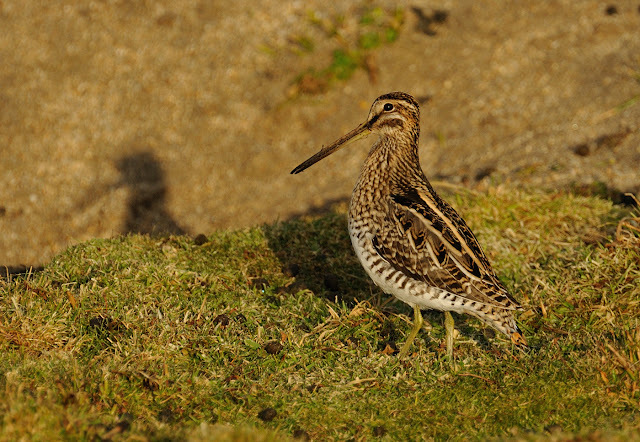 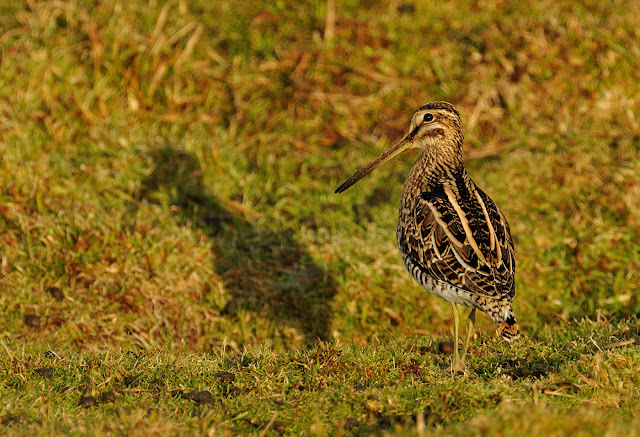 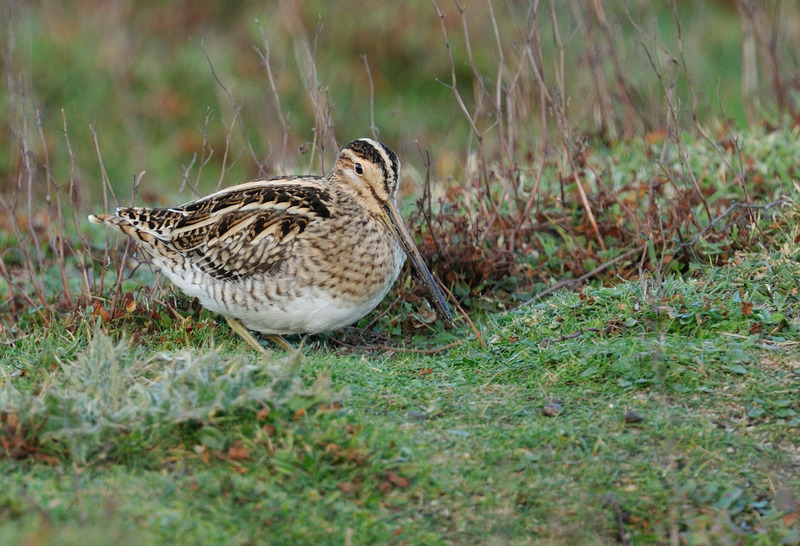 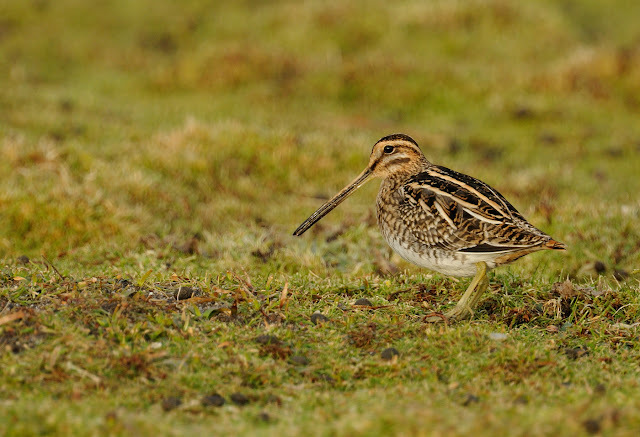 Snipe are normally fairly illusive but the severe cold weather has meant that many birds are oblivious to humans and the Snipe at Marazion are no exception. 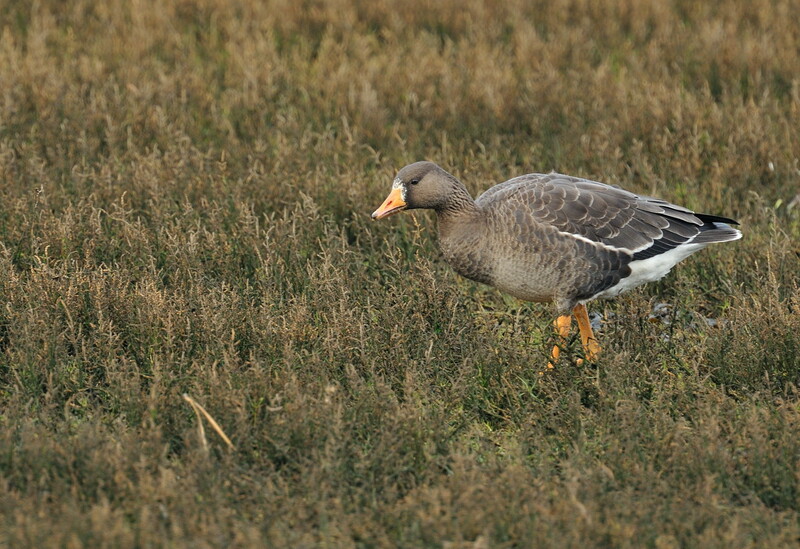 The only element missing is some snow ! 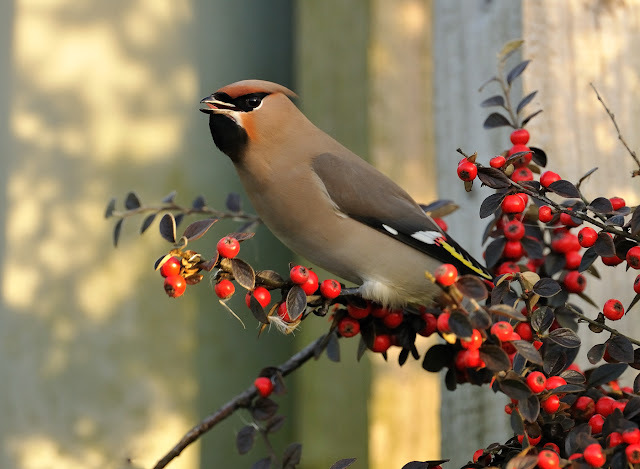 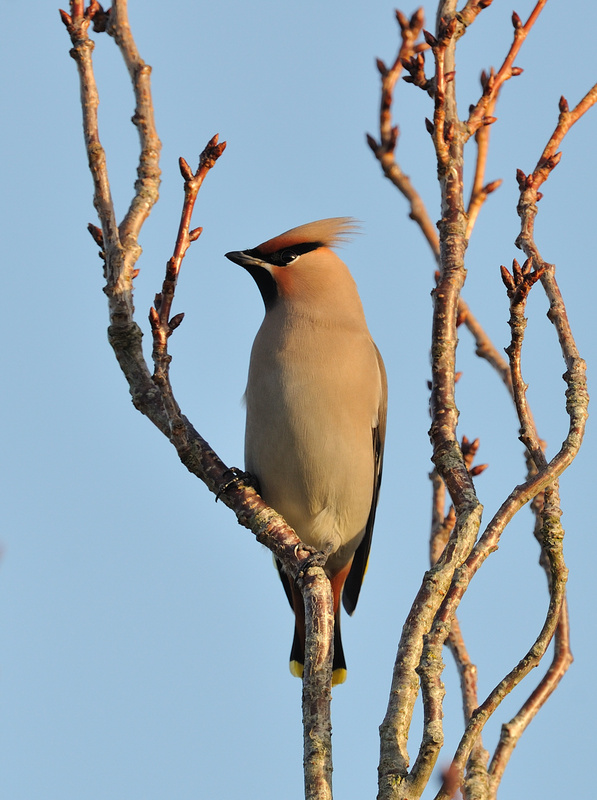 Half a dozen Waxwings have finally arrived in Cornwall this week. 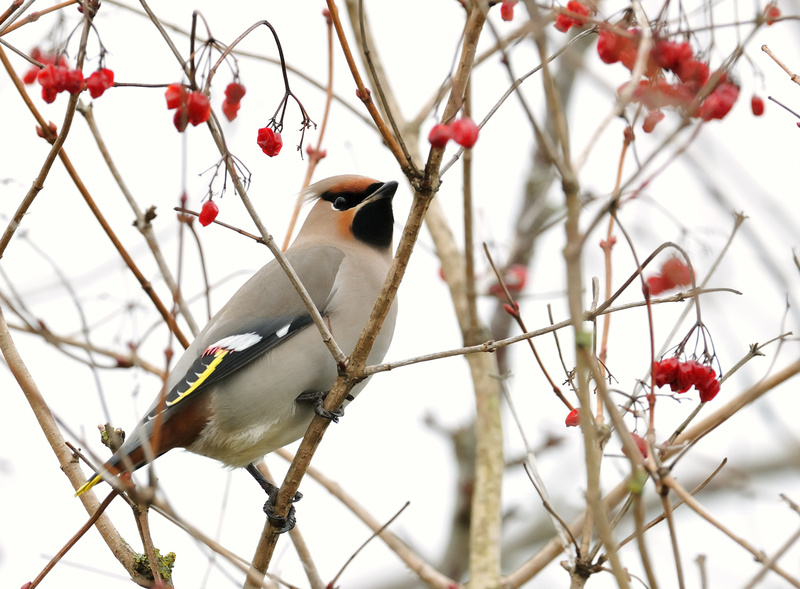 The first was found in Saltash, followed by two pairs in Truro and Copperhouse on Thursday. 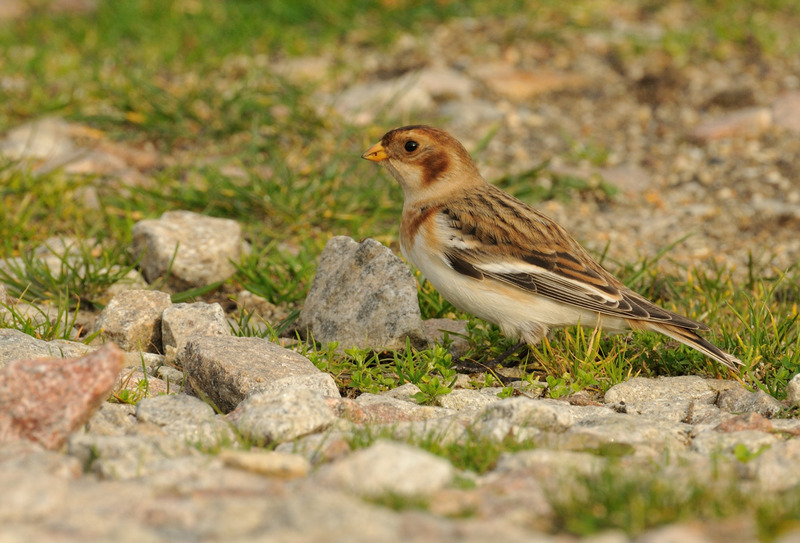 This stunning female below was found yesterday in the car park beside the Cornwall Farmers building at Wadebridge. Hopefully more will arrive as they are stunning and so photogenic. The temperature has at last risen today to +4 degrees and the weather at Godrevy this morning was positively balmy. 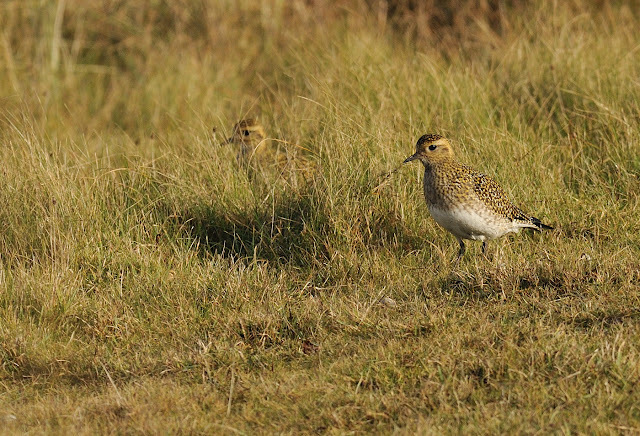 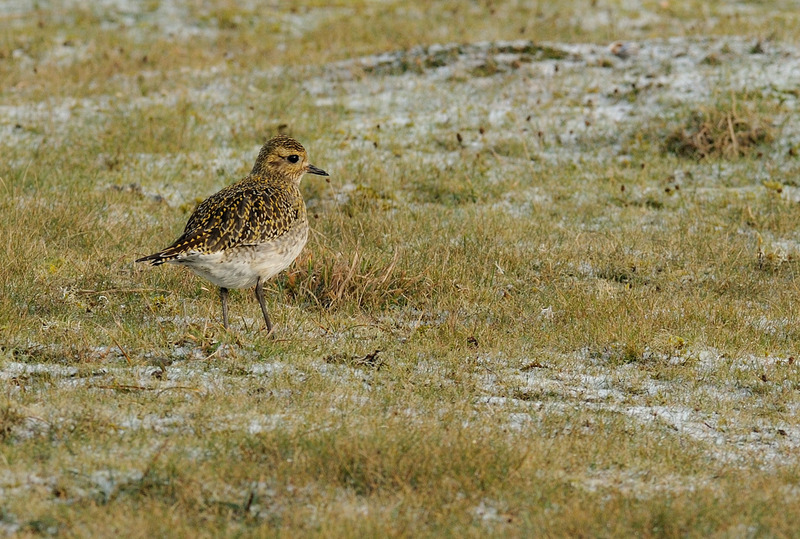 The ground must be hard elsewhere though as there were good numbers of Golden Plover foraging in the soft ground of the dunes. There were also high numbers of Song Thrush today as well as a Snow Bunting and five Dunlin feeding in the far car park at Godrevy NT ! 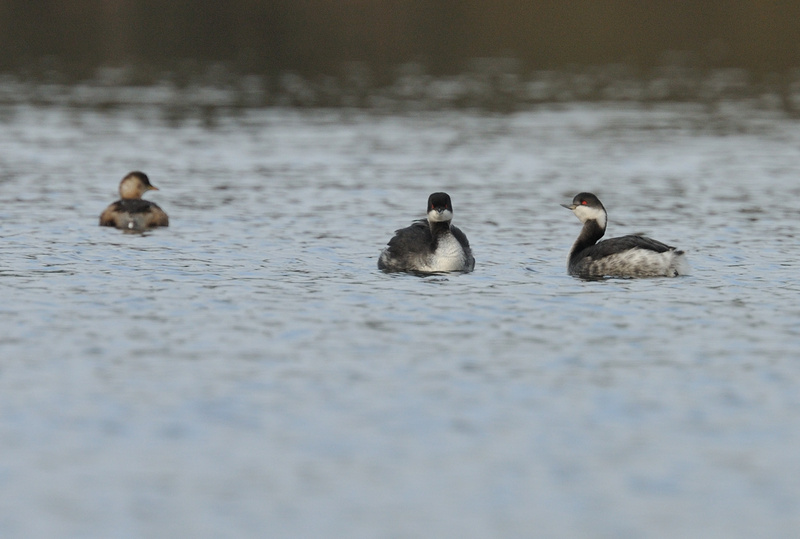 These shots were taken late this afternoon with some members of the CWT photography group. 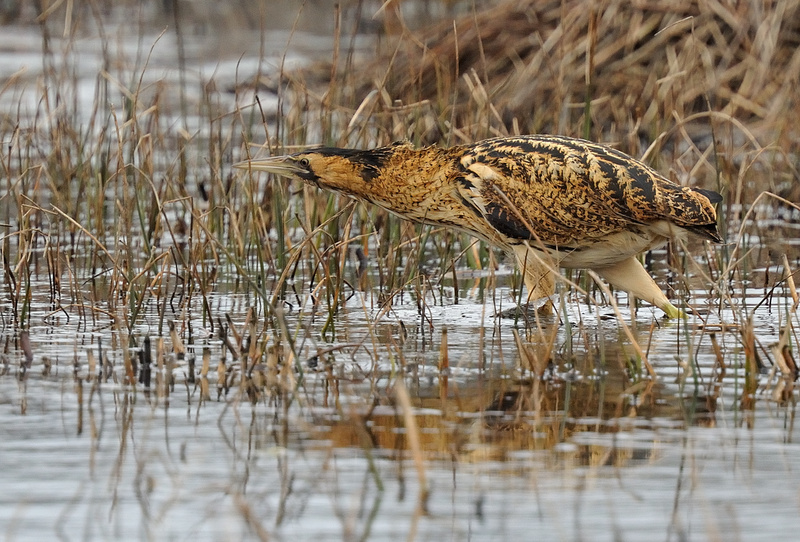 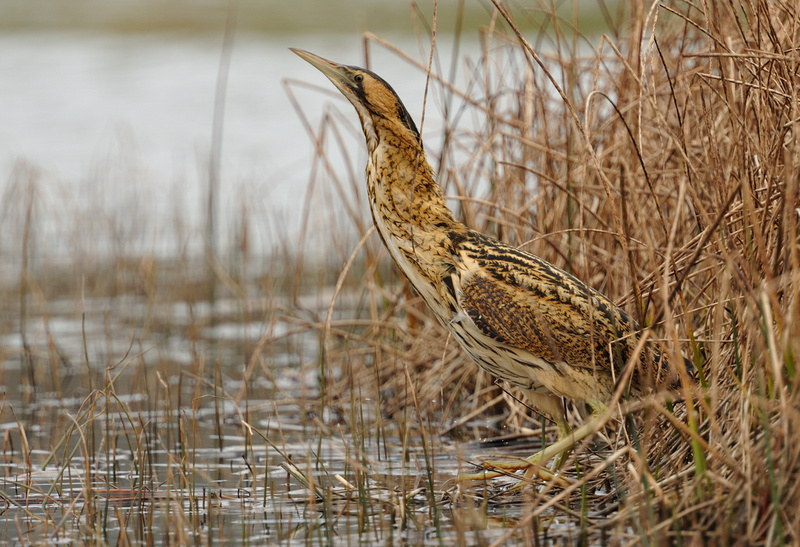 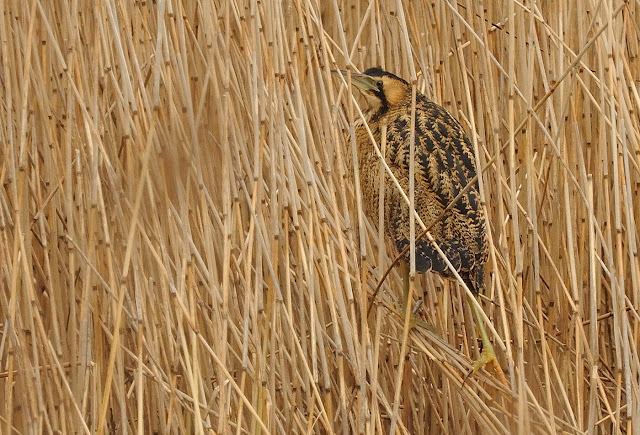 This bird was unusually close and seen from the road overlooking the marsh. 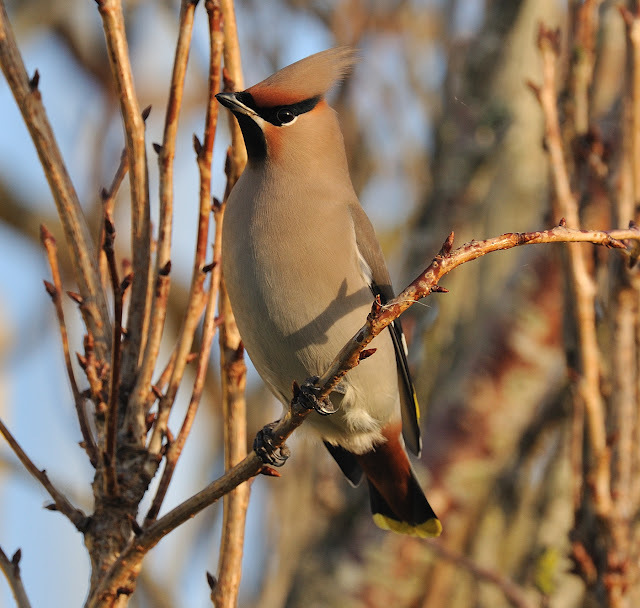 Today saw temperatures drop to minus 6.5 degrees. 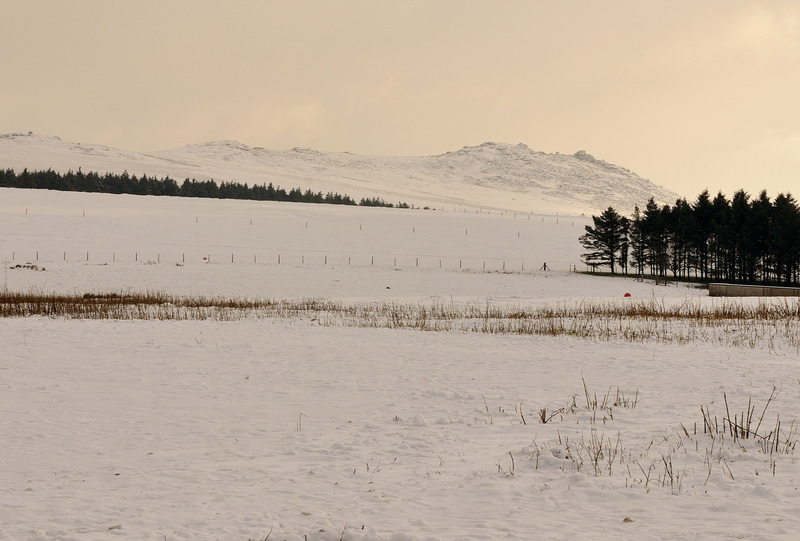 I managed to take this shot from Crowdy Reservoir looking towards the Cornish "peaks" of Rough Tor and Brown Willy. Large parts of the UK experienced heavy snow and blizzards this weekend. The conditions are rare though in Cornwall at this time of year. 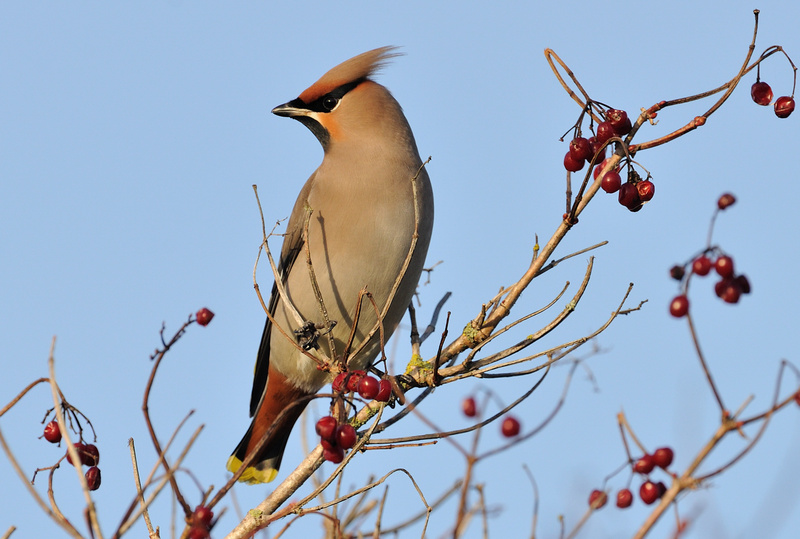 This little stunner performed well this afternoon among the dog walkers, parked cars and sunday afternoon walkers. 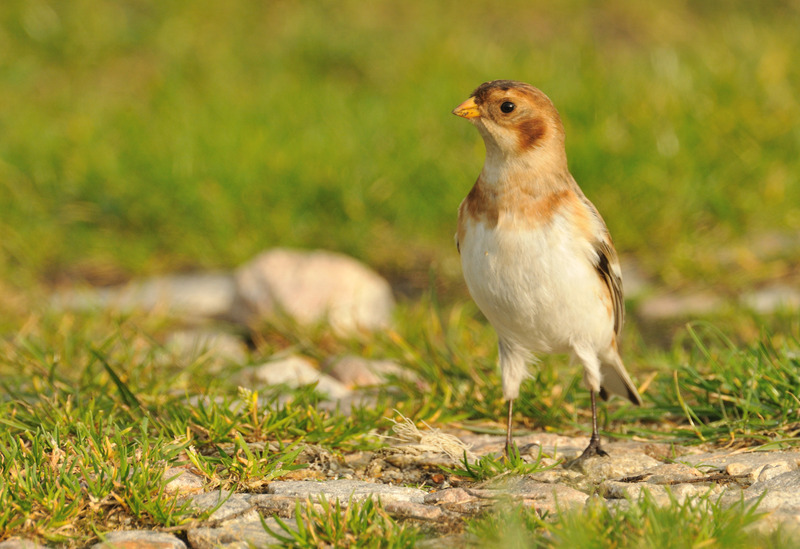 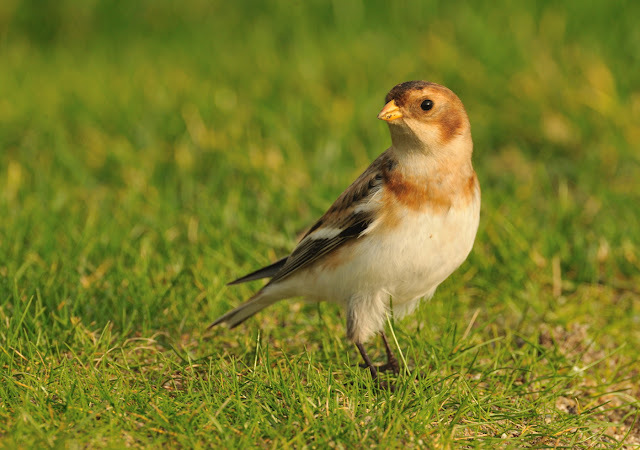 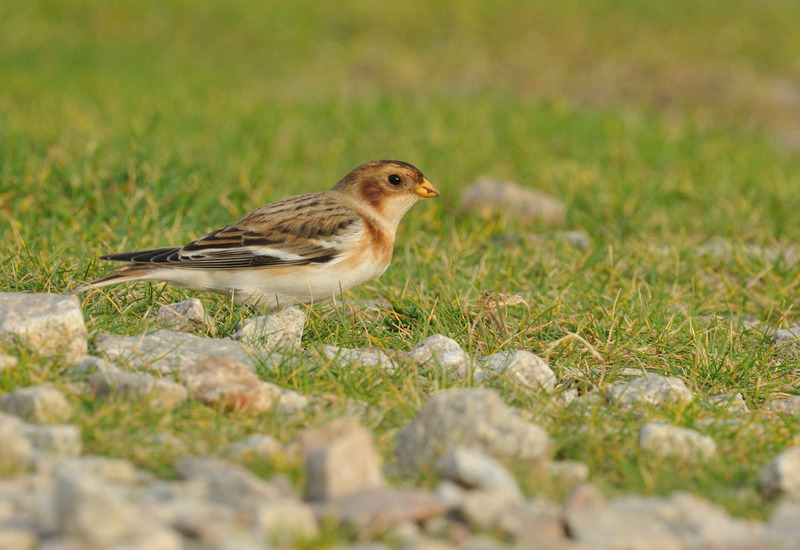 Snow Buntings are so tame and this bird simply ignored everything going on around. 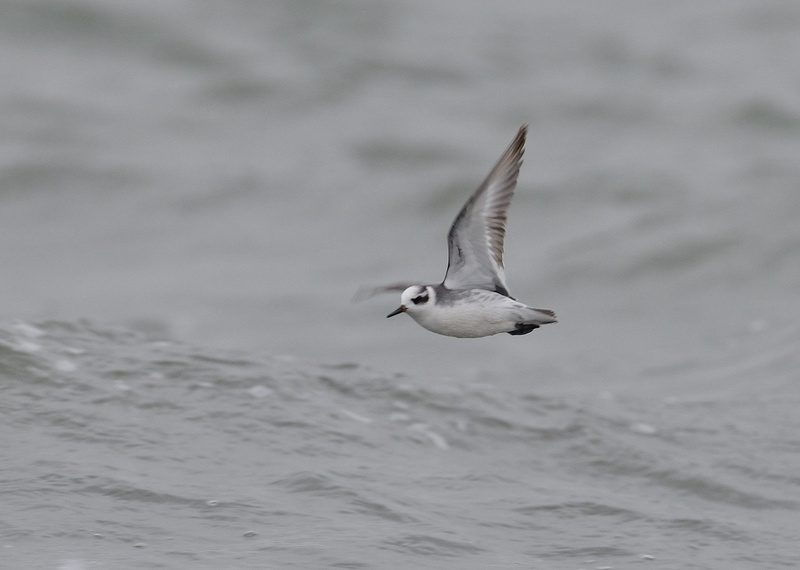 This first year White-front has been present in the Hayle and Copperhouse area for the last couple weeks. 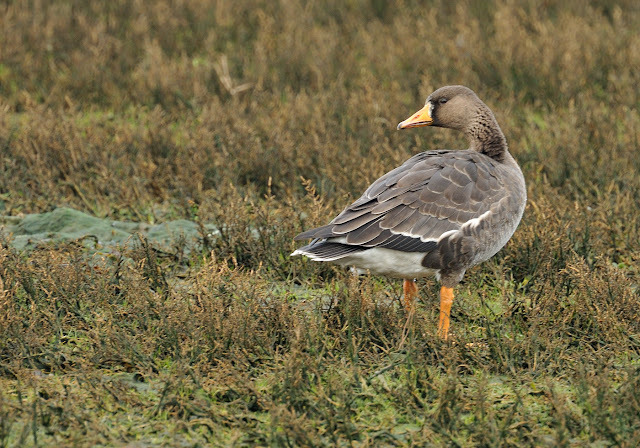 All grey geese records in Cornwall are unusual and the White-fronted Goose is no exception. This individual originally arrived with a party of four but decided to stay and make friends with a pair of Canada Geese. 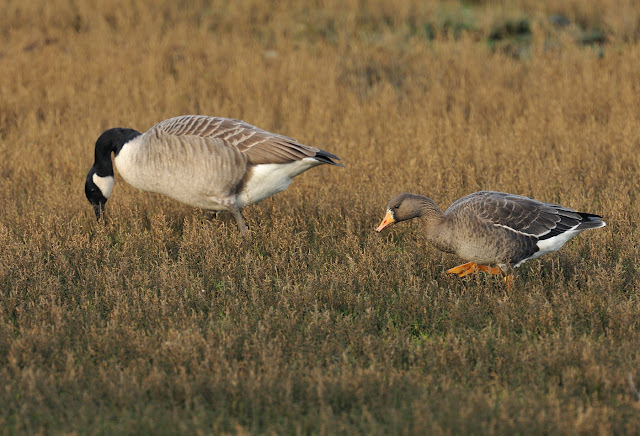 White-front is surprisingly small compared to the Canada Goose, as seen below. 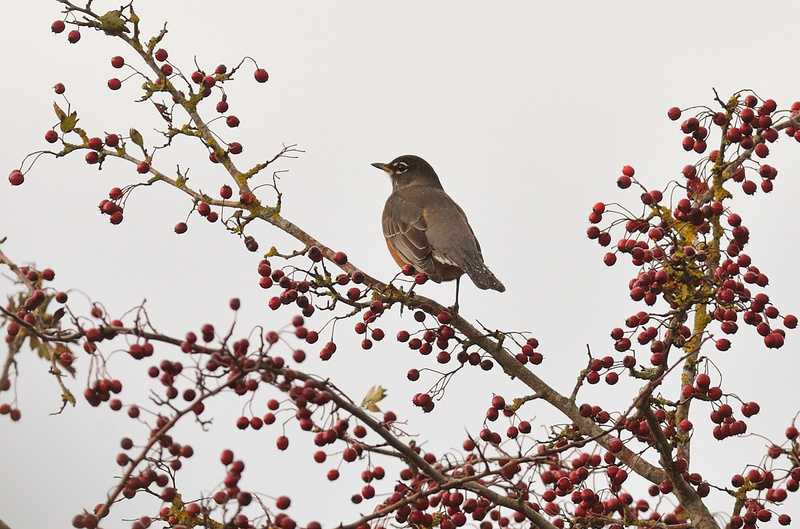 I took this image of the American Robin today at Turf, Devon. 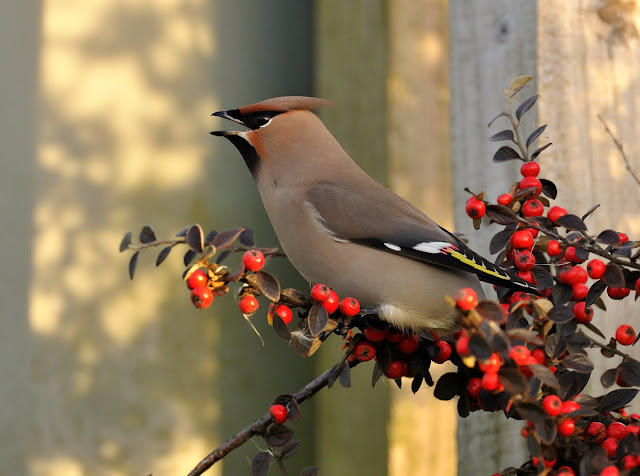 After an hour's wait it eventually flew out of the large berry bush on the canal bank and settled for five minutes out in the open beside the field. Sadly it was just too far away for frame fillers but still a pleasing bird to see. 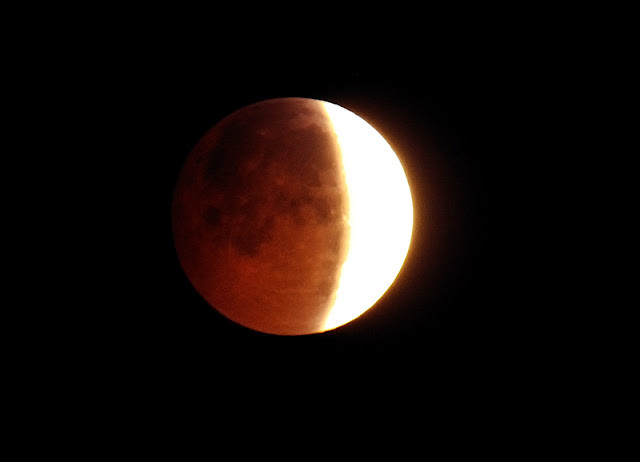 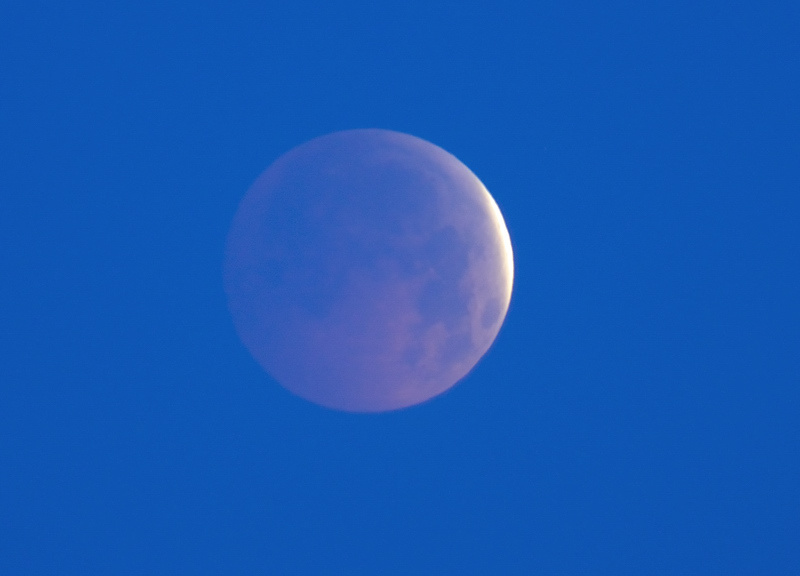 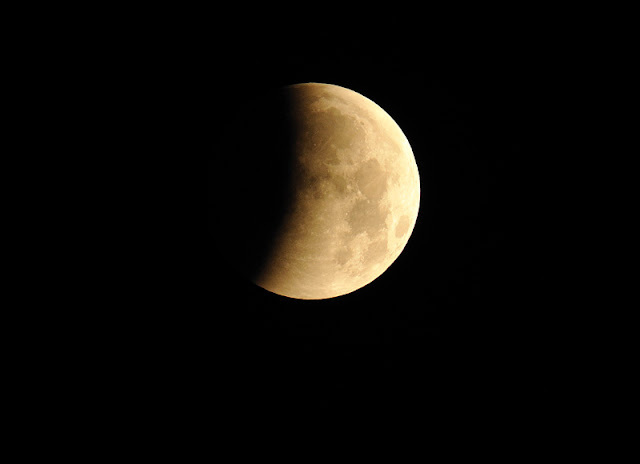 This was my best shot against a bright sky. For the techies, the exposure was raised to +2 full stops. 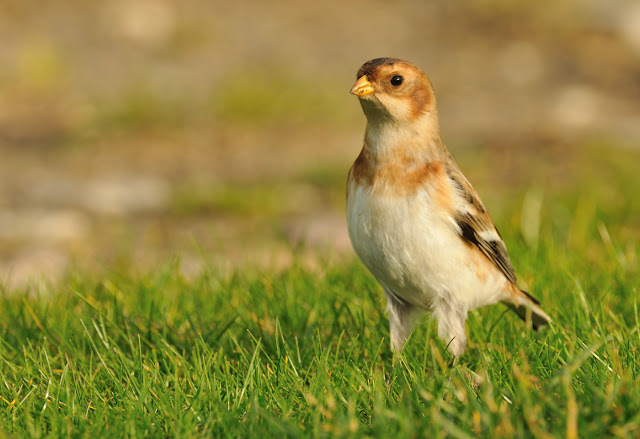 This is my third record, with one on Scilly in 1976 and of course the Gwithian bird (later taken by a Sparrowhawk). I'm sure Devon birders will correct me if wrong, but this is the fifth record for Devon, the last being way back in 1982 on Lundy Island. The first for Devon was also on Lundy in October 1952 and this bird was the first for Britain. 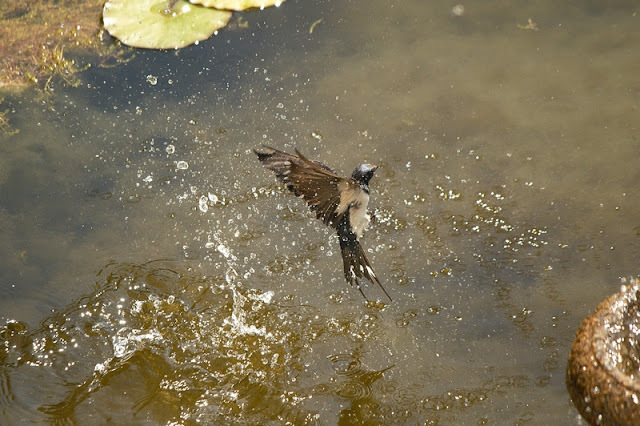 American Robin is widely distributed throughout North America and Canada, wintering from Florida to central Mexico and along the Pacific Coast.